Hello! Today Jill and I get to share some of the photos and links to the wonderful testers who helped us with the Juliette dress + top pattern! We loved all of the photos that we have seen so far and can't wait to see more this week as our testers share their photos on their blogs and instagram accounts. This week I will be sharing their photos on Instagram. Please hop over and visit their pages as many of these ladies also have blogs where they will be sharing more Juliette love!! And don't forget you can receive 10% off your Juliette pattern by finding the discount code in the sewpony patterns FB group! The beautiful photo above is courtesy of one of our testers, Mijke (read on to find out more). Ana Sofia blogs and sews at S is for Sewing. She lives in Portugal and makes classic, beautiful clothes for her daughter and it is always a pleasure to work with Ana Sofia. See her Juliette top here. Connect with Ana Sofia on Instagram HERE. Fabienne lives in Belgium with her four children and blogs and sews at 128. She also collaborated with An from StraightGrain to create the gorgeous Hoppe pattern! You can see Fabienne's Juliette dress here. Connect with Fabienne on Instagram HERE. An has beautiful IG account that I love. 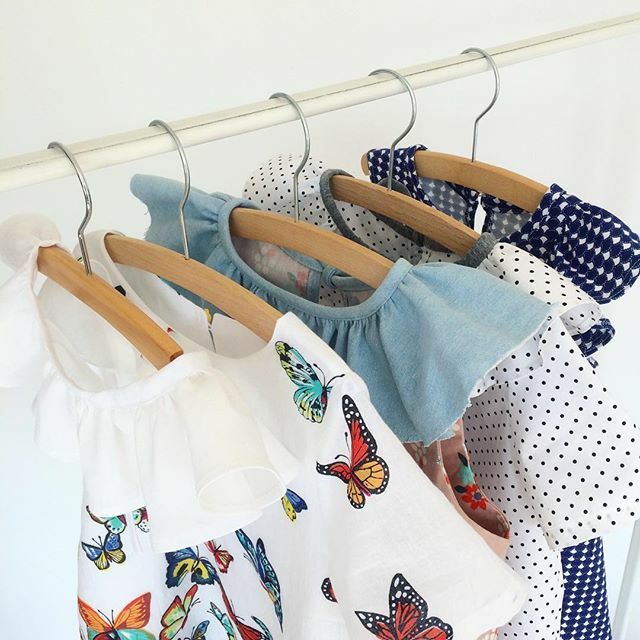 Her account is Jurkjesmama and she sews for her three gorgeous daughters! An helped me test the tic tac toe dress so was very excited to have her help us with Juliette! Follow An on Instagram HERE. Marjolein sews and blogs at Flaflinko. I am a new follower of Marjolein and I love her style! he has sewn up a few sewpony patterns already and just love her Juliette dress. Connect Marjolein on Instagram HERE. Loni lives in the US and blogs and sews from Havin' sew much fun. I am a new follower of hers and love fun and colourful style. I can't wait to see more of an embroidered Juliette top she sewed up...it looks amazing! Follow Loni on instagram HERE. Christina lives in Berlin and makes beautiful clothes for her kids at her blog Christinaa. I am a new follower of hers and love the two Juliettes she made during testing. Follow Christina on Instagram HERE. Mijke is a beautiful model, Mum and sewer from the Netherlands! She sews beautiful clothes for daughter and sometimes for herself! She has a sewing IG account called Riddersenrozen. Follow Mijke on IG HERE. Sofie lives in Belgium and blogs and sews at WenSJe. She makes lovely things and photographs and styles them so beautifully. 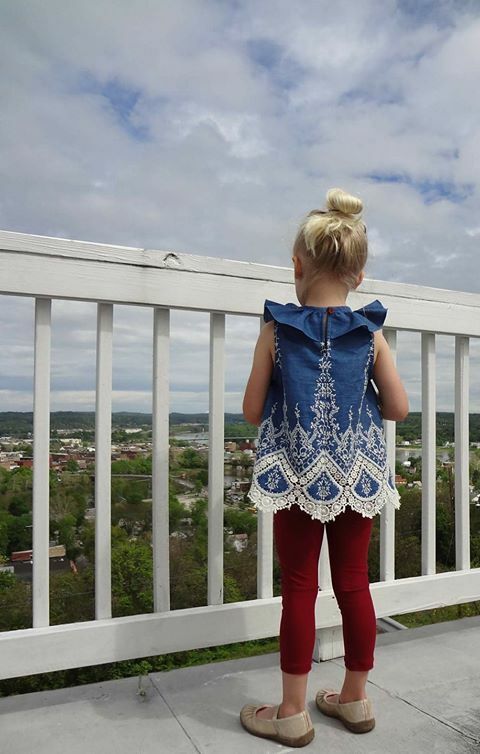 The Juliette top she made for her gorgeous toddler is amazing! Connect with Sophie on Instagram HERE. Virenne blogs and sews at Boevenbende in the Dutch countryside. She makes beautiful clothes for her kids and we were very pleased to have her on board to help us test the Juliette pattern. You can follow Virenne on Instagram HERE. Rita sews and blogs at The bag of the unexpected. Rita is Portugese and currently lives in Madrid, Spain. She sews great clothes for herself and her childern. You can connect with Rita on Instagram HERE. Rineke blogs and sews from Plus 2 is 5. She is Dutch and a busy Mum of five but luckily finds time to sew! Connect with Rineke on Instagram HERE. You will also see Juliette's sewn up by Anke, Ana, Katrien, Pawinee and Nina. Thank you so much ladies!!! We really appreciate your time, effort and talent!! Please search #juliettedressandtop on IG so you don't miss any of these beauties!! Juliette below made by Loni. So see us over on Instagram from Monday to Thursday! ooh thank you Fabienne! Your dress is adorable! I've already sewn up a few of your patterns, they are so gorgeous. Keep on doing this Suz, it's amazing! !